Have you ever lost your quadcopter? Do you lack the means of tracking your quadcopter? The Roflocator is the solution to your problems. 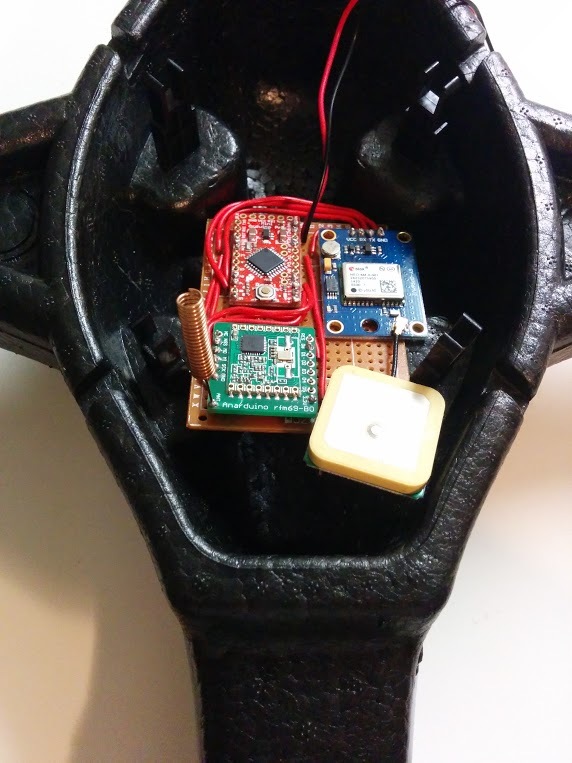 This device tracks your quadcopter and constantly notifies you of its current coordinates. It’s simple to install, cost effective, and easy to use. 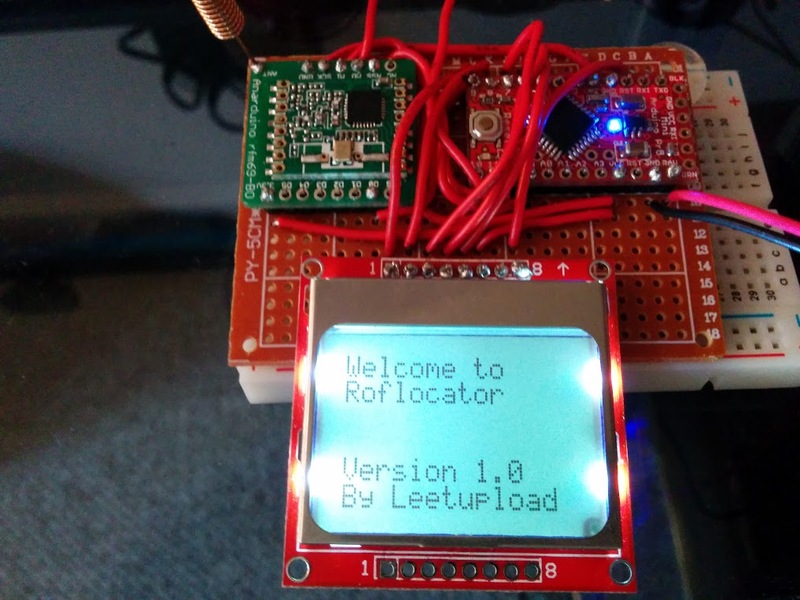 The Roflocator has two transceivers that can transmit and receive data over a large range. 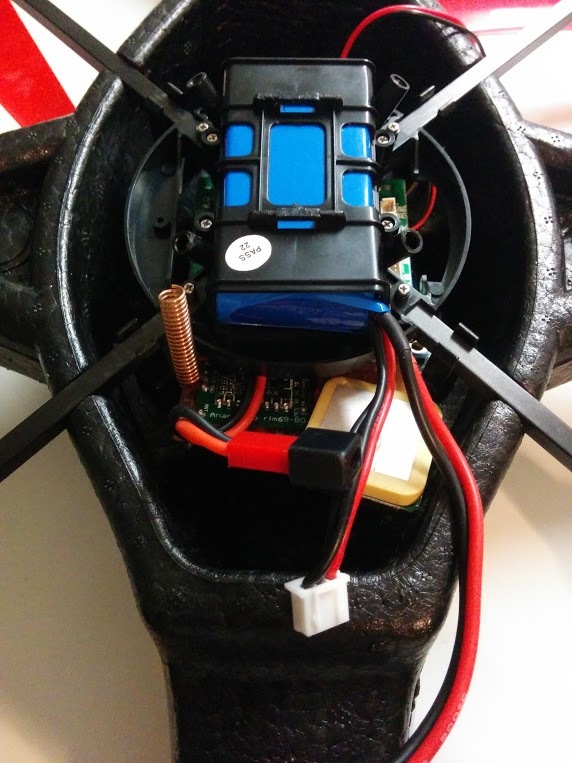 One of the transceivers sits on the quadcopter while the other is kept on your person. Once a GPS connection is locked with enough satellites (typically under 10 seconds in optimal conditions), the transceiver will begin to beacon the coordinates specifically to your transceiver. 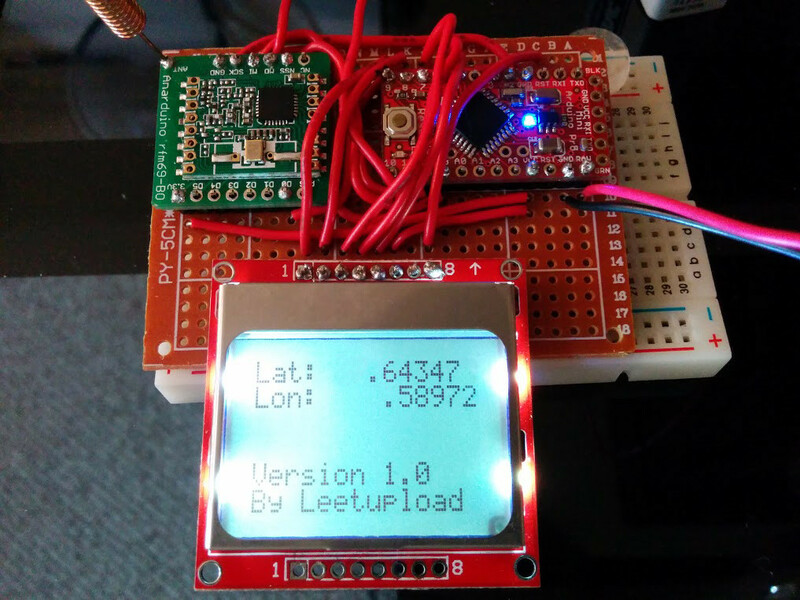 The coordinates will then be displayed on the LCD screen and you will be able to keep track of your quadcopter’s exact location at all times. Who is this solution tailored toward? People who wish to track their quadcopter without the hassle of paying for a monthly SIM card along with the cost of a device to transmit the coordinates, or for individuals who wish to fly their quadcopter in a remote area where cell phone coverage covered is scarce. The final product will have an ABS plastic enclosure for the receiver with a 9v battery enclosure. The PCBs will be professionally manufactured and lead free (ENIG finish). Below is a list that articulates what packages you will be able to purchase. The GPS enclosure will be the only feature that will alter the price. The GPS coordinates are partially blurred in this photo. When and where can I buy this? By following the link below, you will be able to pre-order The Roflocator. Please allow 3-4 weeks lead time for production. Hi, is this product out yet? I want one for my 350qx3. will it interfere with the gps on the 350qx3?. If I order, when will I get it? Hi Matt. 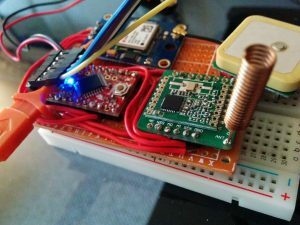 There may be interference with your current GPS that is mounted to your quadcopter, as this device comes with a GPS module as well (but it is hard for me to say definitively). If you were to place an order, it will be about a month of production lead time. There is not much to the interface of the tracking system, just a simple output display of the longitude and latitude of the device. I’m interested in the roflocator possibly for use in a High Altitude Balloon flight. (Sending a Gopro to the edge of space under a weather balloon) and for my RC models. How much is the cost including postage to the United Kingdom? Is it possible to use a full 70cm aerial for better transmission from the balloon? On the receiver is it possible to connect it to a plug, so a dish can be used for better reception and distance? Once activated how often does it transmit the gps location?